All three regions exist within the continuous membrane bilayer and correlate with specialized ER functions. They can be easily detected by fluorescence microscopy. The peripheral Endoplasmic Reticulum extends throughout the cell cytoplasm and its lumen is continuous with that of the nuclear envelope. 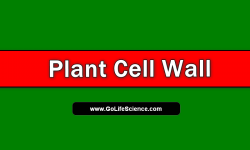 Both constitute more than 10% of the total cell volume. 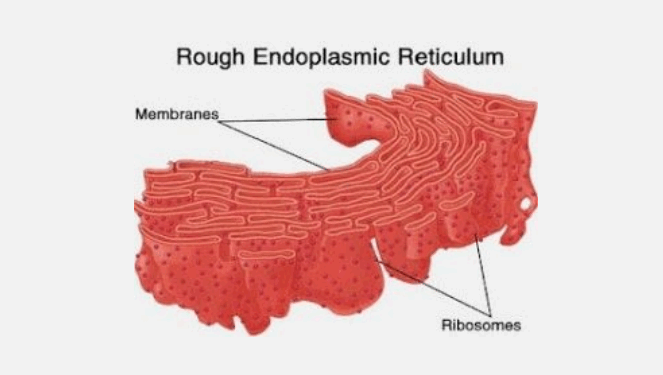 Endoplasmic Reticulum sheets are flat, extended surfaces with little membrane curvature that are often characterized by the presence of multiple membrane-bound ribosomes referred to as rough Endoplasmic Reticulum (RER). Thus they tend to be granular in appearance. 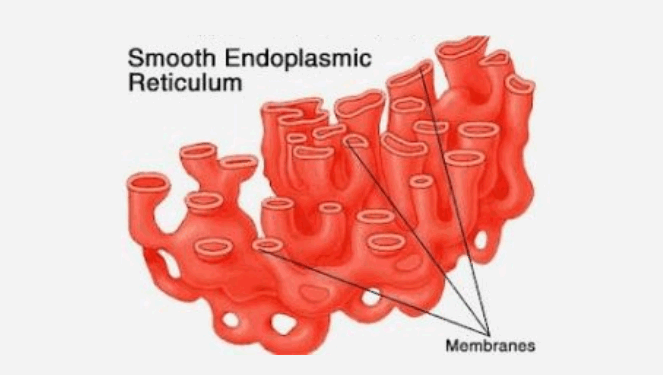 An example of rough Endoplasmic Reticulum sheet is the nuclear envelope that considered to be a sheet because of its large size. ER tubules are long, cylindrical with a lot of membrane curvature and intersect to form an intricate network throughout the cell cytoplasm. Composed primarily of ribosome-free smooth ER (SER), they appear to be more dilated and convoluted in general. The thickness of sheets and diameter of tubules varies depending on the type of cell they are found in but is typically considered to be around 60-100 nm. This suggests that both regions are actively shaped. Since protein translocation is an essential process in all eukaryotic cells, they all contain RER. The membrane-bound ribosomes perform all functions associated with the biosynthesis of proteins that are either secreted or are membrane-bound. This even includes their modification(s) as well as proper folding. One type of ER that is found in almost all cells is the transitional ER. It is rich in proteins involved in the packaging of other proteins for transport from the ER to the Golgi apparatus. But why is it that ribosomes are concentrated (almost exclusively) in the RER and completely excluded from SER rather than existing there at lower concentrations? Well, researchers have proposed that concentrating the ribosomes in one part of the membrane results in efficient performance on part of the proteins that are associated with the translocation and modification of newly synthesized proteins. During cell division, the ER is subject to rearrangements in order to be properly redistributed to the daughter cells. As the nuclear envelope disassembles, its associated proteins are released into peripheral ER. The peripheral ER, in turn, undergoes changes in morphology. What kinds of morphological changes? It becomes a highly intricate tubular structure with the absence of sheets. It has been proposed that membrane fusion plays a likely role in the change in ER morphology – a process that is GTP-dependent and involves proteins called atlastins. During interphase, however, the peripheral ER is a dynamic network consisting of cisternal sheets and linear tubules. The ER divides the cell into separate compartments, making it possible for the cell’s different chemical products and activities to be segregated from each other. Many of the enzymes that carry out these activities from a part of the lipoprotein structure of the membrane forming the endoplasmic reticulum. According to Sjostrand (1964), the tubules and vesicles have surfaces which may play a role in enzymic reactions. 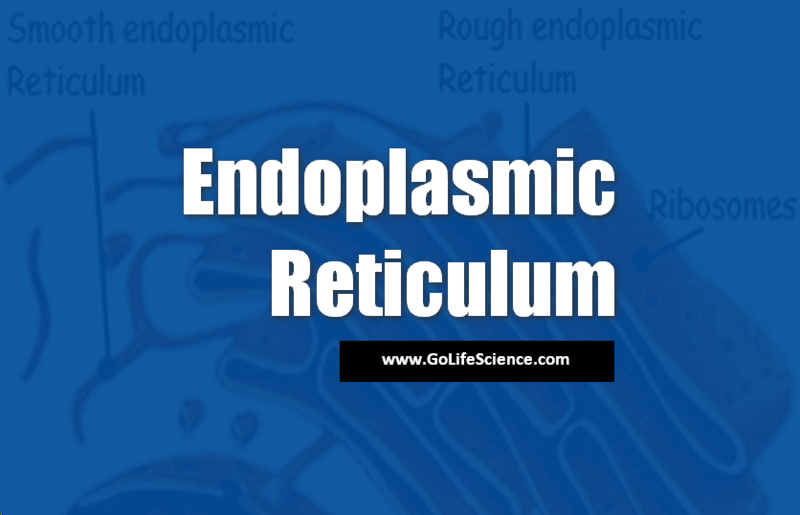 In addition to the site of protein synthesis, the endoplasmic reticulum is also thought to function as a transport and storage system. ER also plays important role in lipid metabolism and glycogen synthesis. What is Fidelity of DNA Replication in Normal?